Data from the National Association of REALTORS® (NAR) estimates that 87 percent of all new agents fail after five years in the industry. One of the keys to being among the 13 percent that succeed in real estate? Business planning. While the value and necessity of writing a business plan has been debated within the entrepreneurial community, the numbers speak for themselves: In general, businesses with a plan can grow up to 30 percent faster than those without a plan. Despite this, many agents in the real estate industry do not operate with business plans. Some may not have or want to devote the time and energy into creating a plan at the outset. This may be especially true for experienced agents who feel as though they are working at their best and with a full pipeline. Why spend the resources on creating a business plan when leads are already coming through the door? For many new and mid-level agents, the attraction to a real estate career may be because of its independent and entrepreneurial nature. Agents like the idea of being in charge of their business and setting their own schedules, but that can often be confused for the ability to work in an unstructured environment. In reality, structure, organization and accountability couldn’t be more important. It is exactly because real estate lacks a traditional corporate structure that agents need to be even more proactive and vigilant in creating their own success through diligent planning, goal-setting, and, most importantly, accountability. Establish a clear, stated goal. Before anything else, agents first need to set a clear goal in terms of closed deals for the year. Once that goal has been established, agents can work backwards to determine the steps that need to be taken in order to reach it. In setting a goal, agents should take into account the amount needed to cover their personal expenses, business expenses, and then, of course, profit. Based on those numbers, agents can clearly and confidently identify how many deals and at what sales price they need to close over a given period of time. Understand percentages down to the day. Agents must also understand their own contact to lead, lead to appointment, appointment to contract, and contract to closing ratios on a very granular level. If an agent doesn’t have clear goals and a thorough knowledge of their percentages, it can be very difficult to break through to that “next level.” Armed with these metrics, agents can know, down to the day, how many calls they need to make, how many calls must convert to contacts, how many contacts must convert to leads, etc., to reach their stated goal. New agents who may not have enough data to calculate their own percentages can use industry standard percentages from NAR as a benchmark from which to get started and adjust accordingly. Accountability can often be the most difficult, yet most important, aspect of being your own boss. Third-party accountability can often be the difference between achieving a goal or not. The value of a business plan for real estate agents becomes especially clear when thought about in terms of accountability. 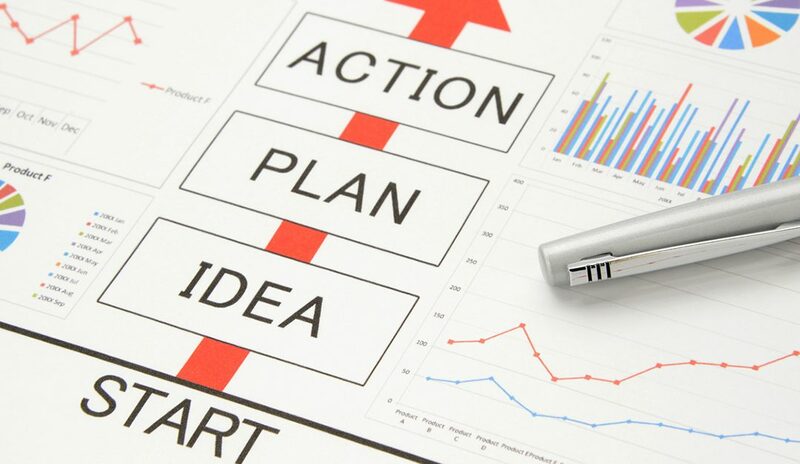 Because agents are able to drill down to daily micro goals that need to be achieved in order to fulfill macro business goals, business plans can provide daily, weekly, monthly, etc., activity sheets to hold people accountable. Accountability can also help troubleshoot what’s going wrong if an agent isn’t progressing as they would like or expect to in reaching their goals. Having goals and percentages formally written down makes it clear when something is not working. Agents can then sit down with their brokers and discuss tactics for turning things around, whether that’s adjusting their dialogue with prospects, email verbiage or even the frequency and cadence of their contact with clients at different stages in the funnel. Brokerages should offer their agents some type of business planning resources, and agents must be taking advantage of these tools. When done correctly, it is not just an empty exercise consuming time and effort—in fact, quite the opposite. Without a business plan in place, agents risk leaving money on the table and, ultimately, not reaching their top earning potential. In order to advance their business, agents should not shy away from tapping into tools and resources their brokerages and network have to offer, and in turn, brokerages should support such efforts. Effective business planning and follow-through can make the difference between the 87 percent of agents who don’t make it past five years and agents who go on to have thriving real estate careers. Adam Lerman is senior vice president of Coaching & Accountability at Engel & Völkers Americas. For more information, please visit www.evusa.com.